Landscape first appeared in print as an English word at the beginning of the 17th century. It meant what it meant. Over time, however, we've managed to co-opt it with adjectives like historical, political, sociological, economic, technological, cultural and many other variations on a... landscapian theme. This literal and metaphorical bounty weaves through several excellent books I've read lately that explore natural and human landscapes from disparate, yet also complementary, perspectives. 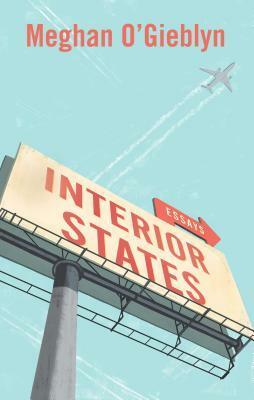 "Highway storms erase the illusory division between the landscape and you, the spectator; they thrust your observant eyes into what you observe," Valeria Luiselli observes in her brilliant novel Lost Children Archive (Knopf). Anticipating a wildfire, Pam Houston writes in Deep Creek: Finding Hope in the High Country (Norton): "I want to know precisely when the flames become visible outside my kitchen window. I want to be awake when the fire starts altering my personal landscape forever." Meghan O'Gieblyn's incisive essay "Pure Michigan," collected in Interior States (Anchor), contrasts the impact of pollution and climate change with a popular PR campaign: "As summer approaches, there are still days when the landscape resembles the image of itself in the Pure Michigan ads, when the sunrise finds the beaches empty and the water along the shoreline a serene and crystalline blue." Terese Svoboda's Great American Desert (Mad Creek Books/Ohio University Press) is an immersive cli-fi tale set in harsh, yet increasingly vulnerable, terrain that has brushed invasive humans aside like insects for centuries, Manifest Destiny be damned: "In its horizontal way, the land crawls, shudders, slides, and a man has to stand up to it or else he'll slip under it." 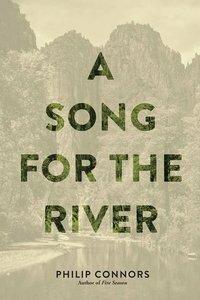 New Mexico's Gila Wilderness confronts Philip Connors professionally and personally in A Song for the River (Cinco Puntos Press): "It was a lonely and sun-seared country and in some ways the last American frontier, a place where ranchers, smugglers, and migrants tested their resolve against a pitiless landscape long on rock and short on water." Landscape is a complex word.